Keystone Compliance has a salt fog chamber that is one of the largest salt fog chambers manufactured and has an inside dimension of 8’ x 4’ x 4’. However, we have created custom oversized chambers to accommodate much larger devices including cars, drones and large pieces of machinery. If you have a large unit, we can likely find a way to test it. The chamber is capable of salt fog testing, salt mist testing, salt spray testing and salt laden testing as described in most popular test specifications. Keystone Compliance has one large salt-spray test chamber measuring 8’ x 4’ x 4’. Corrosion due to electrochemical reaction. Formation of acidic/alkaline solutions following salt ionization in water. Impairment of electrical materiel due to salt deposits. Corrosion of insulating materials and metals. Clogging or binding of moving parts of mechanical components and assemblies. Blistering of paint as a result of electrolysis. The most common coatings tested are steel, brass and zamak. The salt-fog test essentially tests corrosion resistance through an accelerated process within a salt-fog chamber. The chamber controls the amount of salt-fog, concentration of salt and pH. Different coatings have different behaviors and require different types of testing with varying durations. 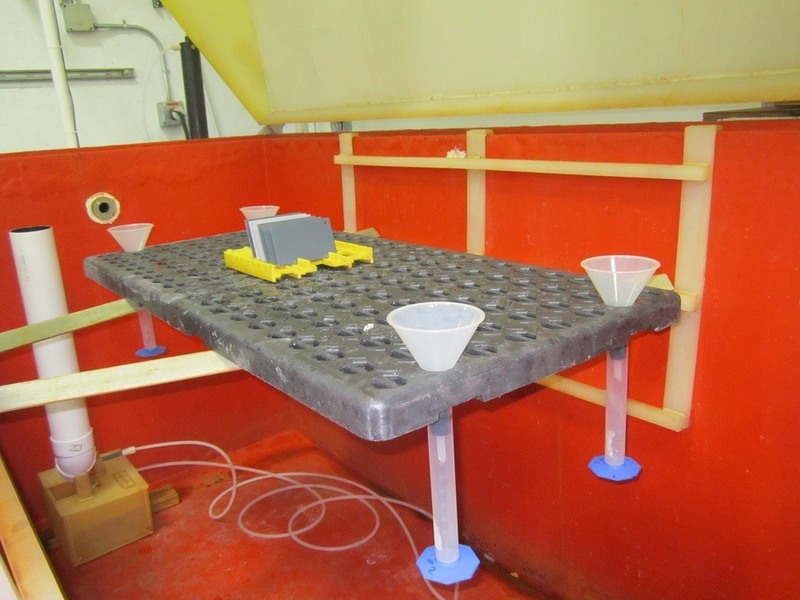 Keystone Compliance is a salt-fog test lab with a large chamber and significant experience. Contact us to determine how we can help you meet your salt-fog testing requirements.